Having trouble with the functioning of your septic system? VAC-TEC LLC. is here to help. 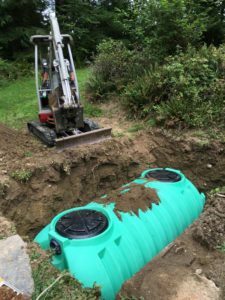 We meet the emergency septic repair needs of Ravensdale, WA residents with top-notch services for troubleshooting septic tanks and fixing virtually any other septic system issue. We realize that all those who call us for emergency septic repair in Ravensdale expect seamless services from us and this is exactly what we provide them with. We make ourselves available 24/7 for emergency septic repair since septic system malfunctions can crop up any time and demand immediate attention. Our company also provides round-the-clock emergency septic pumping & cleaning services in Ravensdale. Being a customer-friendly business, we suggest property owners to go in for regular septic system inspection and septic tank cleaning once in 3-5 years depending on the system usage. This minimizes their requirements for emergency septic pumping & cleaning. The technicians we send out to handle emergency septic pumping & cleaning jobs are equipped to pump out and clean septic systems of all types or sizes. Cleaning out the sludge accumulated in septic tank and removing it far away from the property is not easy. It calls for the attention of professionals with specialized training and tools. Our emergency septic pumping & cleaning does not involve makeshift work. We empty and clean up the tank thoroughly. For high-quality, low-price emergency septic repair or pumping services, Ravensdale residents should call VAC-TEC LLC. at (206) 339-0039.